Sounds simple enough. But anyone who’s ever attempted to nail down their KPIs can tell you that determining what factors are really driving your business isn’t always straightforward. In fact, some companies spend months tracking metrics that turn out to have little or no impact on actual results. For advice on how to identify your KPIs, check out our KPI Discovery Cheatsheet. Knowing that it may take some work, why should you take the time to determine the KPIs for your business? First, define what success looks like. Most likely, you have some idea what your goals are for the next year. The process of identifying and measuring KPIs forces you to look at what specific actions and behaviors will drive the company towards those goals. 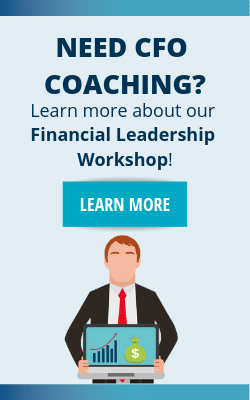 For example, your goal is to increase EBITDA by 2%. When you work with your team, determine what factors are really driving EBITDA. Then, come up with some specific, actionable steps to achieve the goal. There are many ways to improve EBITDA, but focusing on your company’s KPIs can help you develop your unique road map to success. It’s important to understand that KPIs need not all be company-wide metrics. But instead, it may focus on the operating efficiency of individual parts of the company which can then be related back to how those parts affect the whole. Developing and tracking departmental KPIs show how departments work together to achieve the company’s goals. They also show how individuals within each department can contribute to the company’s success. Tying everyone in the company to the same goal will provide a unity of purpose found in almost all successful companies. 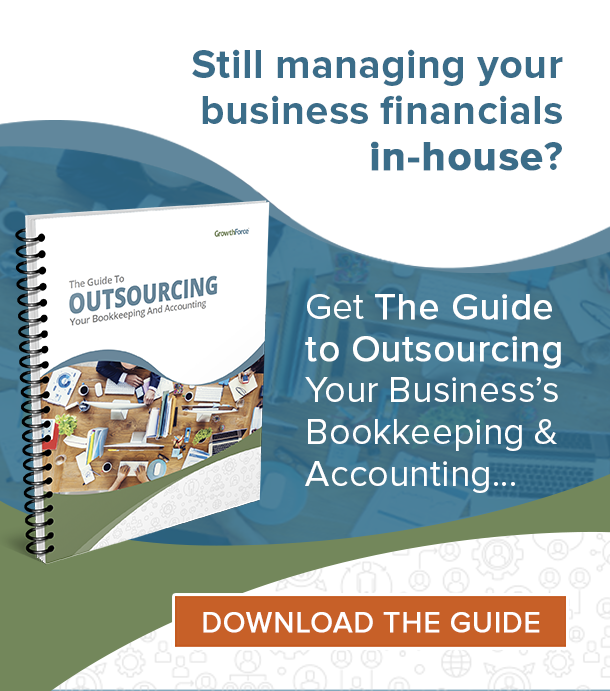 Although there are many factors that drive success for a business, it’s difficult to know which factors are the most critical unless they are being tracked. If you aren’t looking at something, how can you tell if it improves or deteriorates? Determining key business drivers and tracking their progress will help ensure that nothing slips through the cracks. Holding people accountable for results is tough. Unfortunately, if everyone thinks someone else is responsible then no one is truly responsible. Holding employees accountable for improving the KPIs under their control provides them (and their managers) with a yardstick to measure their performance. Not only does the employee have a way to quantify how he or she has contributed, but managers can see which employees are contributing the most towards goals. Sometimes it’s tough to stay positive when goals are large and/or long-term in nature. Employees feel empowered to make a difference when they see the needle move, so breaking down the goal into its key drivers can give them the opportunity to achieve the goal in stages. Focusing on these “baby steps” along the way improves morale and keeps everyone focused on the prize. What are some of the reasons you use KPIs? 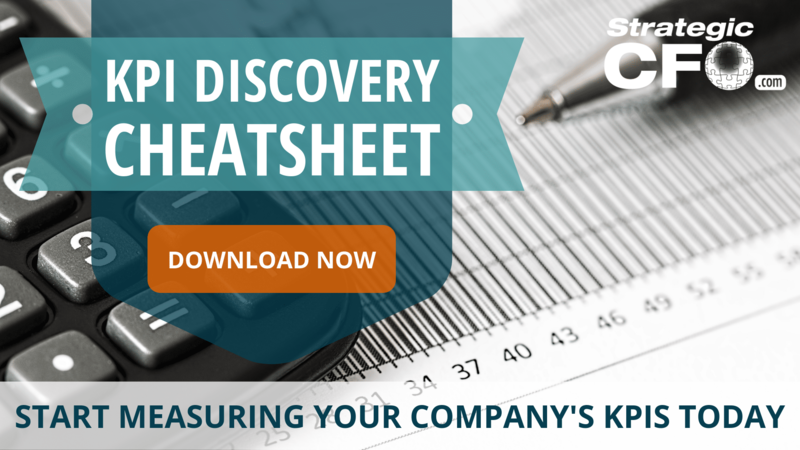 Download the KPI Discovery Cheatsheet to start measuring your company’s KPIs today and leave us a comment and let us know your thoughts. Hi Meg! I’m sorry you had issues. Please email me at lbroderick@strategiccfo.com and I’d be happy to help you out and get you your KPI Discovery Cheatsheet.